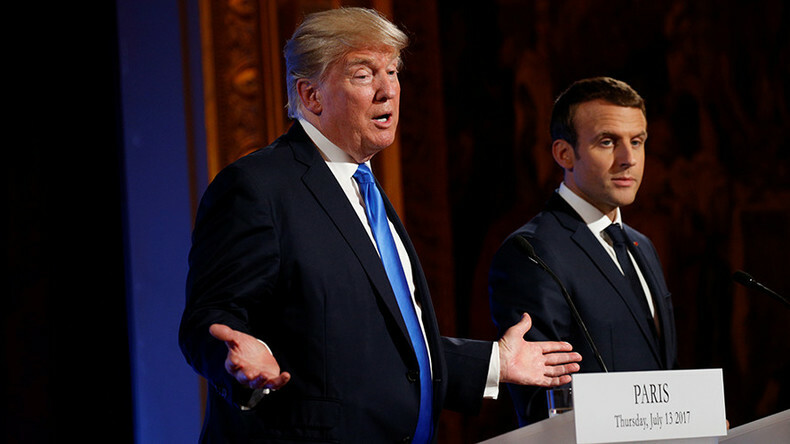 France has shifted its priorities from ousting Syrian President Bashar al-Assad to defeating terrorism and seeking political stability at home, French President Emmanuel Macron said at a joint press conference with US President Donald Trump. The so-called "contact group" on Syria, according to Macron, should include UN Security Council members, as well as representatives of the Syrian government and rebel groups. President Assad’s departure is no longer as relevant for Paris, as fighting terrorism at home has now become the top priority, Macron stated. Donald Trump confirmed that the US and Russia are working on a second ceasefire agreement in Syria as a follow up to the one he and Russian President Vladimir Putin agreed upon during their first meeting on the sidelines of G20. “One of the great things that came out if this meeting, by the way, was the fact that we got the ceasefire that now has lasted for almost five days. Five days doesn’t sound like a long period of time. In terms of a ceasefire in Syria it’s a very long period of time," Trump said. "That was a result of having communication with a country. 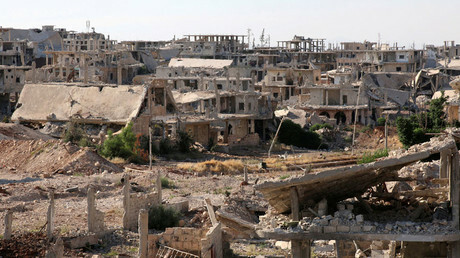 During that five day period a lot of lives have been saved, a lot of people were not killed, no shots have been fired in a very, very dangerous part of the world and this is one of the most dangerous parts of Syria itself,” he added. The French President stressed the importance of maintaining good relations with Russia, especially with regard to solving the ongoing crisis in the Middle East. “We have a lot of disagreements, we have a lot discrepancies obviously with Russia. But in the current environment, especially in the Middle East, it’s a necessity to work together to exchange information, to share disagreements, and to try to build solutions,” Macron stated. Trump has arrived in Paris for his first official visit to France on Thursday. 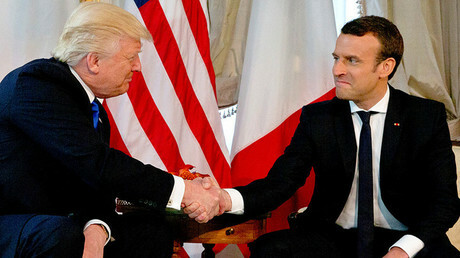 Apart from discussing international and bilateral relations with his French counterpart, the US president is to attend a Bastille Day parade in the French capital on Friday.